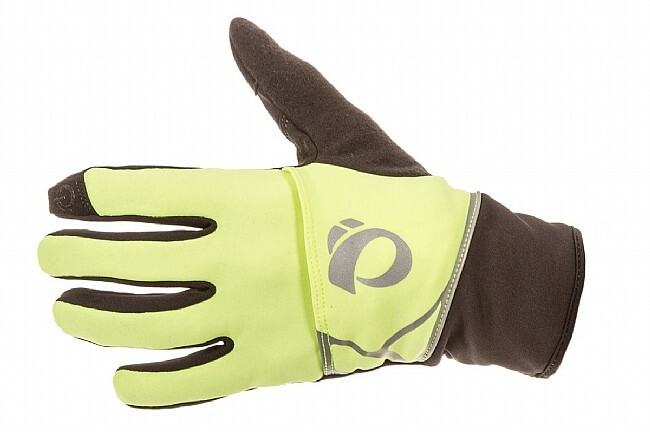 Pearl Izumi Men's Shine Wind Mitt is a versatile unisex cool-weather glove. Constructed from P.R.O. Thermal Lite fabric, these gloves are lightweight and stay warm without sacrificing dexterity. Plus, stowable windproof over-mitts pack away into the top of the gloves for changing conditions. 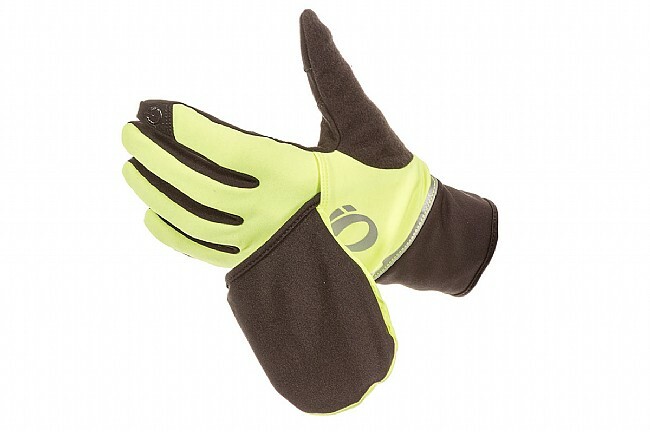 The thumbs and forefingers are layered with a conductive synthetic leather that is recognized by touch screen devices, and reflective accents combined with hi-vis yellow make these gloves highly visible along with supremely useable. These are a great in between weather gloves. I have a pair of winter gloves and pair of light weight gloves. If you are looking for something to cover the mid 40 to 50 degree weather these will work great. Nice and bright for low light walks and runs. No padding and thin, slippery fabric on the palms and fingers don't make it the best choice for cycling and skiing. These gloves fit right and are pretty good down to about 40 I like the pull out wind locker for the fingers for when conditions change during a ride. Really, Really Good - not quite perfect! Winter here on the Oregon Coast, we get sorta cold! Not snowy, biting cold - but cold, nonetheless! These gloves are great - warm enough for most coastal rides - with that extra little wind protection tucked away in reserve for extra cold days!. Pert dang near perfect - EXCEPT - with no grip in the palms! I noticed right away the lack of silicone or leather or some type of material with which to grip the bars. Not a huge issue - but definitely somewhat slippery - I find myself gripping the bars tighter than normal! I use these gloves over my short gloves on cold day. The wind protector option is a good feature - cover your fingers on extra cold days and remove and tuck in when warm enough. These gloves do the trick they keep my hands warm and dry, and they have the bonus of being bright and visible during the dark days of winter. The touch screen finger is nice. But, the gloves lack any palm padding - and the fabric being a little loose on my hands - sometimes I don't get the best grip on the handle bars. All in all - good gloves, and I would buy them again, even if I think they could be improved upon.